We rely 100% on donations to fund our work of improving English literacy. We are a volunteer-led, non-profit Public Benefit Organisation located in Johannesburg, South Africa. We partner with the Diepsloot Combined School (DCS) located in the informal settlement of Diepsloot, an economically disadvantaged informal settlement in Northern Johannesburg. 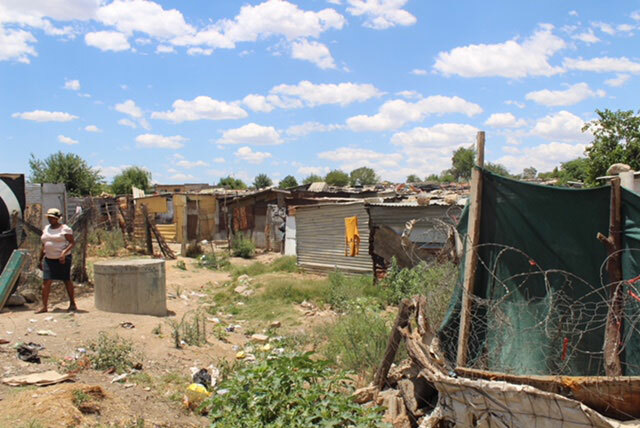 It is home to approximately 250,000-500,000 people many of whom live in shacks without electricity or indoor plumbing. Our mission is to improve English literacy for grade 2 and 3 students at DCS. We also mend school uniforms, do health checks for students and provide support and financial assistance for learners from Diepsloot going on to University. 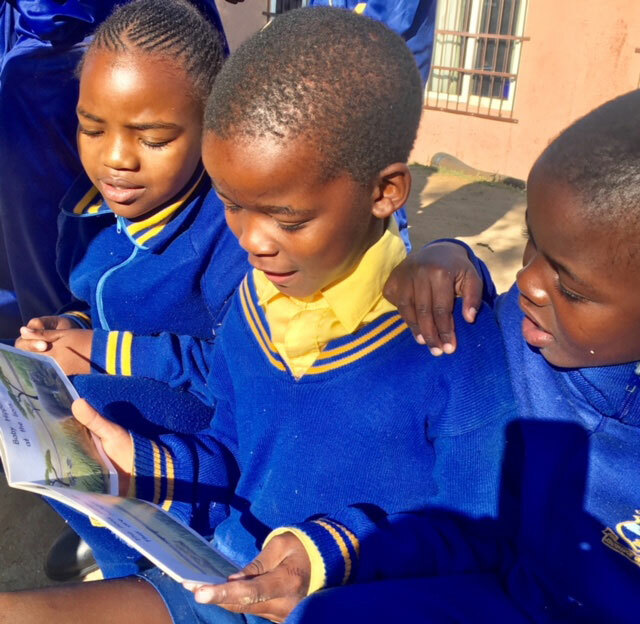 In addition, Edu Fun is evolving to include students from non-fee paying schools in rural, urban and informal settlements outside of Diepsloot to address the varied educational, literacy and material needs of the population. To learn more about us you can also visit our Facebook page. We utilise the Phono-Graphix method, a straightforward reading and spelling method developed in America. The method educates learners that letters are pictures of sounds, sounds can be represented by more than one letter or combinations of letters and that combinations of letters can also represent multiple sounds. Edu Fun volunteers are invited to attend Phono-Graphix training sessions throughout the year but anyone who is literate in English is encouraged to join us as anytime as a volunteer at DCS! Our work is making an impact! Last year student reading skills improved by 60% and spelling skills by 73%. Teachers at DCS are also trained in the Phono-Graphix method. Class sizes at the school are very large and English is not the first language of the students or their teachers. To help address these challenges, we work closely with school administrators, teachers and students and help to teach reading, reading comprehension, spelling and writing in smaller group settings. We aim to provide learners with individualized attention and customised lessons appropriate to each learner's ability. Volunteers meet for carpooling at the Dainfern Valley Shopping Centre at 9:00 a.m. Lessons are from 09:30-10:45 a.m. and classes are divided into 5 groups based on literacy level. There is a lead volunteer teacher for each class responsible for lesson design and delivery. Each classroom has 30-45 children and each volunteer works with a group of about six to ten children. 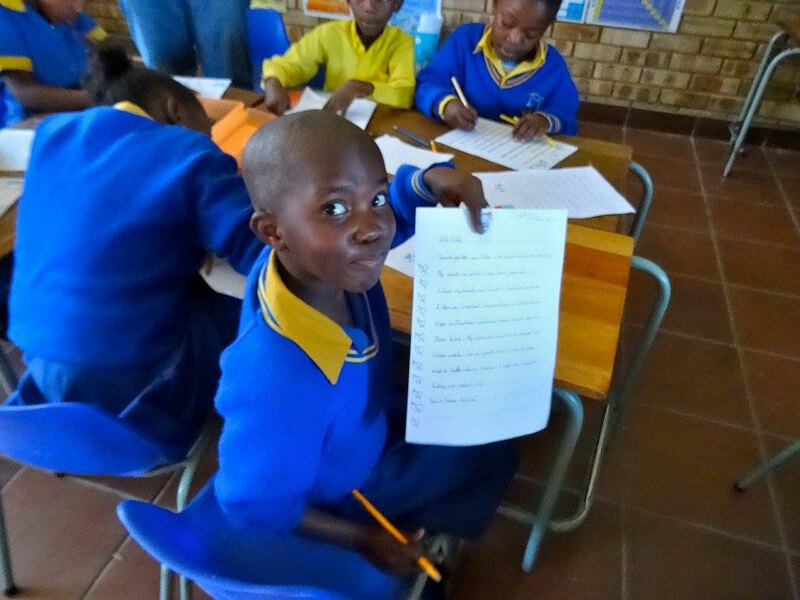 The grade has nearly 200 learners and usually the class size is about 60 students per room, so the Edu Fun sessions are a fantastic opportunity to give children much needed personalised attention. The teaching materials are provided by Edu Fun. Select students from Grade 2 have been identified as needing additional help with English. Volunteers work with 2-4 learners at a time in the library or container classroom. In addition, 21 of the strongest learners from grade 2 are receiving classroom style instruction led by Edu Fun volunteers to build upon their reading, writing and spelling skills. Basic on-site training is given for new volunteers. We meet at the Dainfern Valley Shopping Centre at 8:30am for carpooling every Tuesday. The class runs from 9:00 a.m.-10:00 a.m.
"Having been accidentally introduced to Phono-Graphix, I can honestly say that I am captivated by its functional simplicity. It just works at all levels. As a 100% inexperienced teacher, I am now volunteering through Edufun at Diepsloot Combined School and the benefits are mutual. The kids love learning, confirmed by their decibel levels of excitement and the multitude of hugs that you receive when you have to leave, which is both heart-warming and heart-breaking. This methodology just works and the results are fantastic." 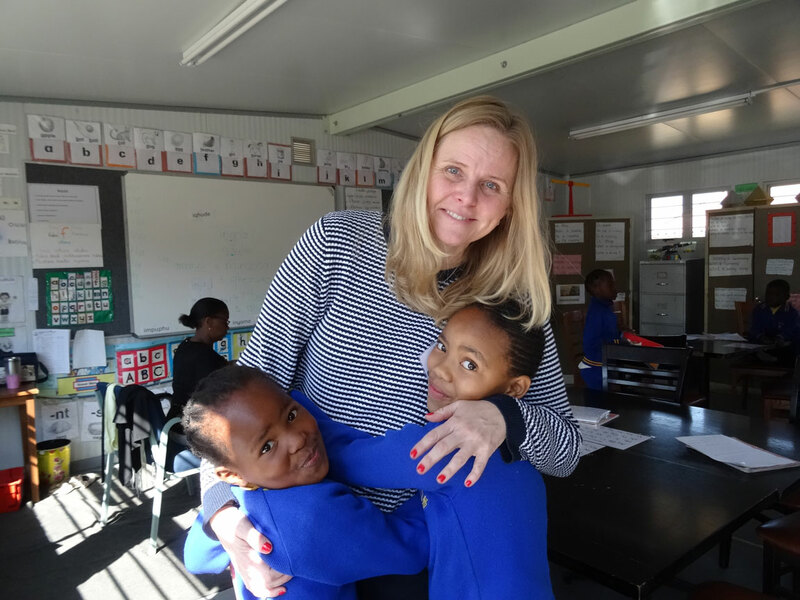 "I'm thrilled that I discovered Edu Fun when I moved to South Africa. A hugely rewarding opportunity, and a chance to give something back. The kids are just amazing, the other volunteers too, many of whom have become great friends. It's also flexible, with an opportunity to be involved in as many areas as you would like, from teaching, to health, to further education to baby club. Everyone has something to offer. In return I learned a lot. After 3 years at Edu Fun I'm back in the UK now, but still involved, particularly with the older kids from the further education group. I love having a chat with them over email when they have access, even if it's to give me a hard time over a football result. 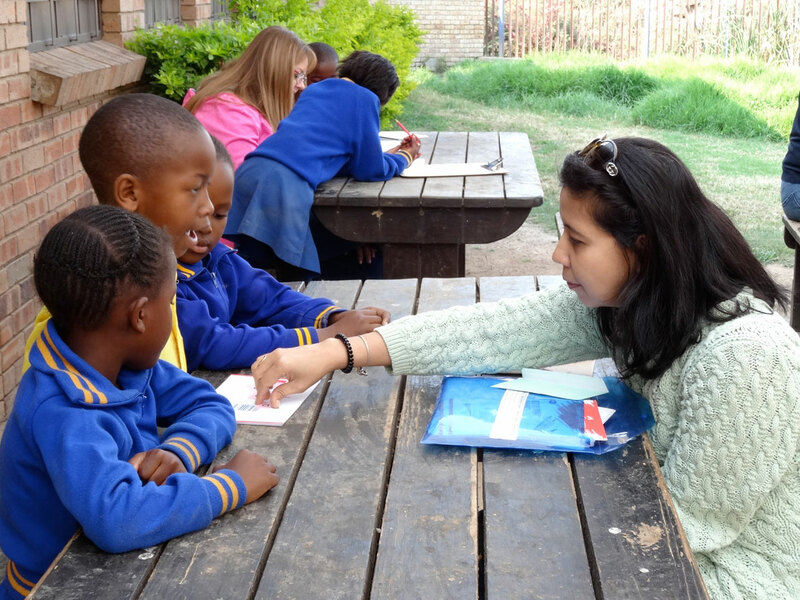 I wouldn't have wanted to spend my time in SA any other way"
"I started volunteering with Edu-Fun in January 2015. I've always worked within education in different roles in my home country so volunteering in a school environment was perfect. 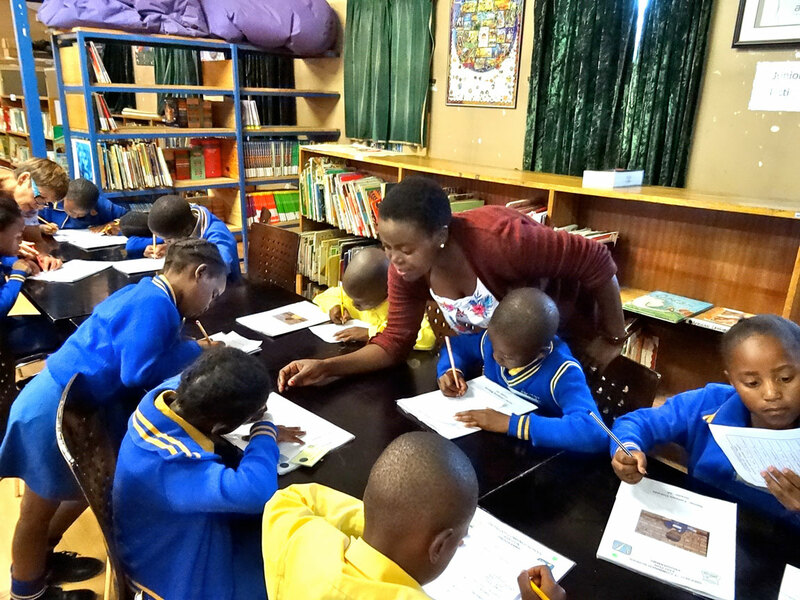 We work each Monday morning with grade 3 children from Diepsloot Combined School teaching English as well as further developing their literacy skills. As English is not their first language, the phonics programme we use has to be easy to follow and implement. The Phono-Graphix approach we use is highly effective in helping the learners develop literacy skills and it provides them with the foundation skills they need to read and further develop their English. I have made many friendships with other volunteers through Edu-Fun. I'm an ex-pat living in South Africa and it can be hard being so far away from friends in our home country. Volunteering enables you to meet different people and make new friends. 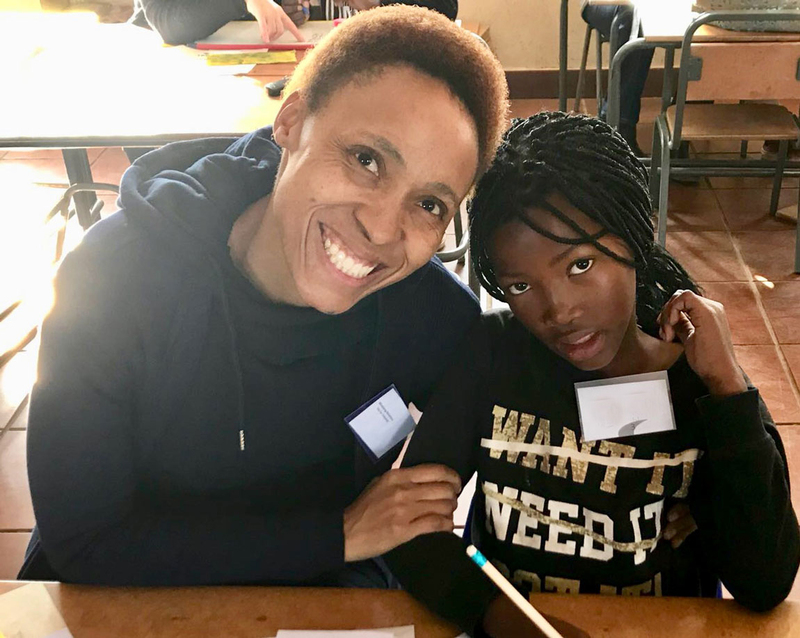 I feel that we make a difference and have a positive effect on the children we work with and by doing so we are actively changing lives in the Diepsloot community." To find out more, call Jenny on 082 322 0608. Visit Edu Fun's Facebook page.